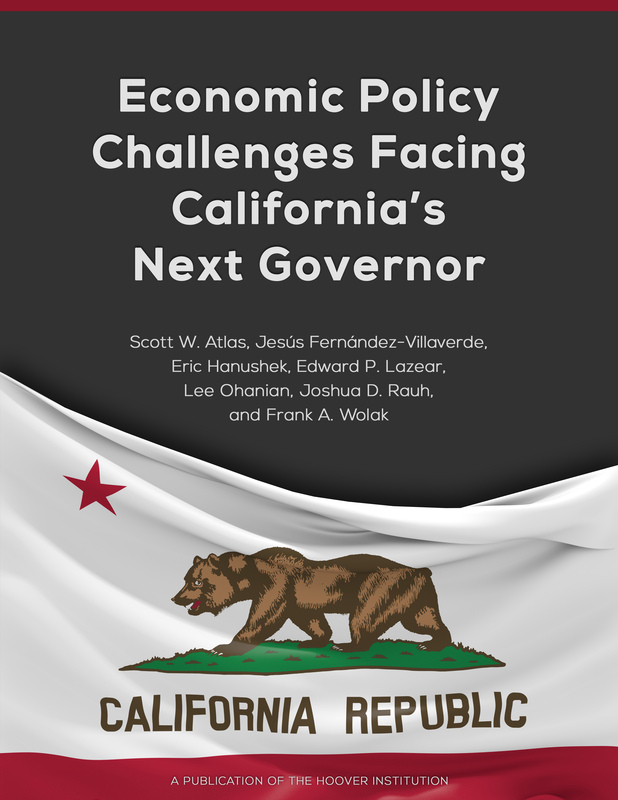 To view the full white paper on Economic Policy Challenges Facing California’s Next Governor, click here to download the .pdf. * Note: Rounding causes total percentage to deviate slightly from 100%. **Source: Department of Water Resources (2013). California Water Plan Update (Bulletin 160-13) and Public Policy Institute of California, “Water Use in California,” http://www.ppic.org/publication/water-use-in-california. Residential and commercial uses, which are most affected by population growth in the state, account for typically a small fraction of total usage. Agriculture water is used to grow the food we eat, which is consumed in part by Californians, but much is exported elsewhere and much of the agricultural products consumed by Californians are imported from other states and countries.1 If we were to cut that usage in half to resemble demand by earlier populations, the result would be to reduce total usage of California water by only 5 percent. Neither residential water rationing nor constraining population growth, say, through zoning, would have much of an impact on water usage. Indeed, the fact that restaurants require diners to request a glass of drinking water during droughts or that public parks shut down permanent toilets and force visitors to use portable ones is nothing short of comical. Not only is there no higher value of water than drinking and public health, but personal drinking water and hygiene account for a tiny fraction of total water used. Feel-good conservation efforts on these fronts have no impact on reducing the impact of water shortages, even in drought years. Like all economic goods, water is a scarce resource that must be allocated. 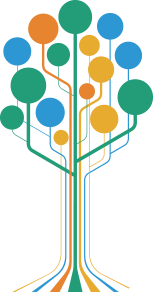 The best way to allocate any resource is to ensure that it goes to its highest valued use, which is not always obvious. For example, one might think that using water to grow food is of higher value, say, than using water for metal production. That is not necessarily the case for a variety of reasons. First, at some point, the value of the additional water to grow a particular crop goes to zero. Crops can be over-watered. Second, some foods have low value and should not be produced in California. Rice is a highly water-intensive crop that is profitable when water is cheap but not when water is expensive. Making water cheap causes over-production of rice and under-production of more valuable foods and other goods. Third, if California can produce goods like metals, chemicals, and wood products cheaply and sell them to other states or countries, then it can use that revenue to buy food more cheaply from other places where water is more abundant. In the case of residential use, many residents would pay more for the water than farmers can earn from using it productively, reflecting the higher value that direct consumers place on water for personal use than for agricultural use. California rations its water inefficiently because of legacy property rights that are incomplete and restrict those who own the water rights from transferring the water to the highest valued use. That, coupled with government-dictated prices, causes water to be allocated inefficiently across uses. Shortages are generally caused when governments place ceilings on prices or when they prevent markets from operating freely in some other way, like restricting trade. In the 1970s, oil shocks reduced supply and prices rose. The response was to cap gasoline prices, which caused shortages and long lines at gas stations. Especially during times of drought, water authorities become important and exercise their power by substituting their own subjective judgment for market-determined prices and allocations. The price to some users is too low and to others is too high to clear the market and allocate water efficiently. A market-based system would result in lower prices paid by most residential users because water that is currently allocated inefficiently to other uses would be redirected to households and the increased supply would lower costs.2 Farmers pay prices for water that differ depending on location and use. The same is true of residences in different parts of the state that use the same water. For example, pipes from the Hetch Hetchy reservoir, which supplies water to much of the Bay Area, intersect the California Aqueduct, meaning that any water that makes its way through those pipes or the aqueduct can be used by any of the communities or farms served by either. Yet residential users of aqueduct water in San Francisco can pay rates that are over three times that of some residents of Los Angeles.3A true market system would provide water through an auction process, where farmers and urban water districts would simply bid for scarce water. In years when water was abundant, the market clearing price would be low. In drought years, the price would be higher, but the auction structure would make sure that water would flow to those who value it the most. Of course, because of existing laws and court precedents, it might be impossible or unrealistic to go to the ideal auction system.4 In 2012, the Public Policy Institute of California reported on the morass of regulations that continue to restrict the exporting of local water to other communities. Permits are required, which necessitate environmental studies, approval by the State Water Resources Control Board, and proof that the transfer will not injure another legal user.5The following steps would improve the allocation of water resources in California. First, every effort should be made to let all owners of water sell their rights with minimal government limitations. This would ensure that water goes to its highest valued use. Second, federal and state agencies that redirect water to environmental use should pay the market price for it. Although there may be good reasons to ensure that some fish and wildlife be protected, we should not pretend that this protection is costless. Even if Californians were of one mind on the value of diverting water for environmental use, that value could be above or below that for other uses. A strict political solution that endows endangered species with rights to the water may end up being correct, but it would be more likely correct were policy makers required to bear the costs of their decisions by paying the true market price for that water. This could be implemented by requiring agencies that divert water for environmental purposes to budget explicitly for the lost revenue associated with the decision to divert it for this purpose. The price the agency would pay would be that paid by the user with the lowest value, most likely agricultural users. Because the revenue would go into general state funds, politicians would be forced to recognize explicitly how much their environmental diversions cost the state. If the agencies could get these funds built into their budgets, they would be recognizing explicitly that Californians value the environmental benefits more than their costs. Finally, farmers should have the rights during a transition period to use or sell the water that they typically use. That would ensure that the farmers would be no worse off under the new system, would honor existing property rights, and would minimize the risk that agricultural lobbies and lawsuits would block the efficient transfer of water. Edward P. Lazear, the Morris A. Cox Senior Fellow at the Hoover Institution since 1985, is also the Davies Family Professor of Economics at Stanford University's Graduate School of Business, where he has taught since 1992. Professor Lazear taught previously at the University of Chicago's Economics Department and Graduate School of Business, where he was the Brown Professor of Urban and Labor Economics. Lazear was chairman of the President’s Council of Economic Advisers and served at the White House, on leave from Stanford, from 2006 to 2009. In his position as the chief economic adviser to the president, he advised on a broad range of matters that involve both the macroeconomy and microeconomic issues. Professor Lazear has written extensively on labor markets and personnel issues; microeconomic theory; issues involving worker compensation and effects on productivity; entrepreneurship; governmental policies on discrimination, affirmative action, and comparable worth; educational policy; unemployment; culture, language, and diversity issues; the doctrine of employment at will; distribution of income within the household; pricing and marketing policies; and other issues involving labor markets and the macroeconomy. He has published more than one hundred academic articles, is a frequent contributor to the popular press, and has written or edited twelve books. 1California Department of Food and Agriculture. “California Agricultural Production Statistics.” 2017, accessed October 21, 2018, https://www.cdfa.ca.gov/statistics. 2 Howard Chong and David Sunding, "Water Markets and Trading," Annual Review of Environment and Resources 31 (November 2006): 239–64. 3 For example, residents of Val Verde in Los Angeles County pay $2.97 per hundred cubic feet of water. The highest rate in San Francisco is $9.10. See "Rates Schedules & Fees," San Francisco Public Utilities Commission, 2018, accessed October 21, 2018, https://sfwater.org/modules/showdocument.aspx?documentid=7742; "Water Rates," Los Angeles County Waterworks Districts, accessed October 21, 2018,https://dpw.lacounty.gov/wwd/web/CustomerService/WaterRate.aspx. 4 See, for example, Ninth Circuit Court of Appeals ruling that the US Bureau of Reclamation violated the Endangered Species Act when it failed to inform the United States, April 2014. Additionally, the Reasonable Use Doctrine, written into the California Constitution, might prevent the highest bidder from obtaining water if its use were deemed unreasonable. See Craig Wilson, "The Reasonable Use Doctrine & Agricultural Water Use Efficiency," State Water Resources Control Board,https://www.waterboards.ca.gov/board_info/agendas/2011/jan/011911_12_reasonableusedoctrine_v010611.pdf. 5 See Statutory Water Rights Law for more information on the “No Injury” laws as of 2018, accessed October 21, 2018, https://www.waterboards.ca.gov/laws_regulations/docs/wrlaws.pdf.